Today in our weekly signature “Bright Ideas” we’re talking about a very special mid-century lighting design designed by DelightFULL: Jackson Floor Lamp. This stunning lighting piece is everything you could ever dream of and was inspired by a legend of the pop culture! Do you have any clue? Keep scrolling to find out everything. From music to cinema, or even design, Michael Jackson was and still is one of the greatest icons of all times, and his memory is still very much alive. That’s why DelightFULL’s designers decided to pay a tribute to this amazing performer, by designing one fabulous piece that embodies rhythm, exposed mechanical elements, and luxurious finishes, never forgetting the inspirations for the 80s: Jackson Floor Lamp! 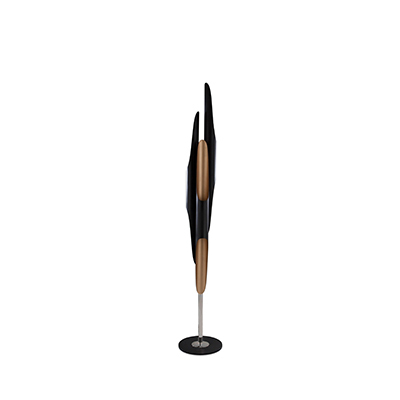 Jackson is a luxurious floor lamp with a strong statement. Despite being very sophisticated and classy, this is a piece that gives a sense of balance and rhythm to every single background. This tripod floor lamp is the perfect spin from mid-century design classics to a commemoration of pop culture. 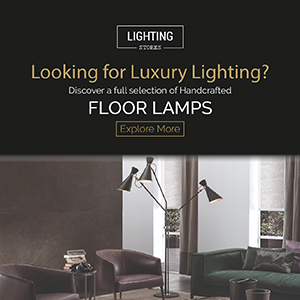 We assure you that this dazzling modern floor lamp won’t go unnoticed in your home decor, due to its elegant shapes and refined vibe. Tailor-made in brass, Jackson floor light features three lamp shades with matte black and gold plated finishes and textile red wires. 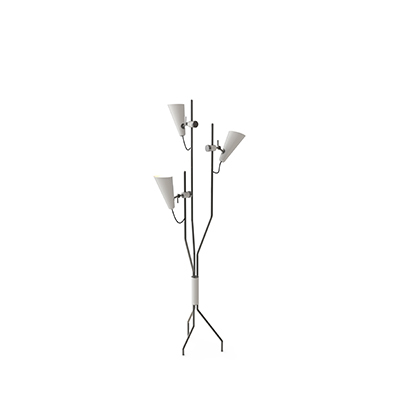 With adaptable lamp shades, this mid-century floor lamp points light wherever a task light is needed. Inspired by the one and only Michael Jackson, this lighting design is going to provide everything that the music artist transmitted in his music concerts, transforming any room into a dream.